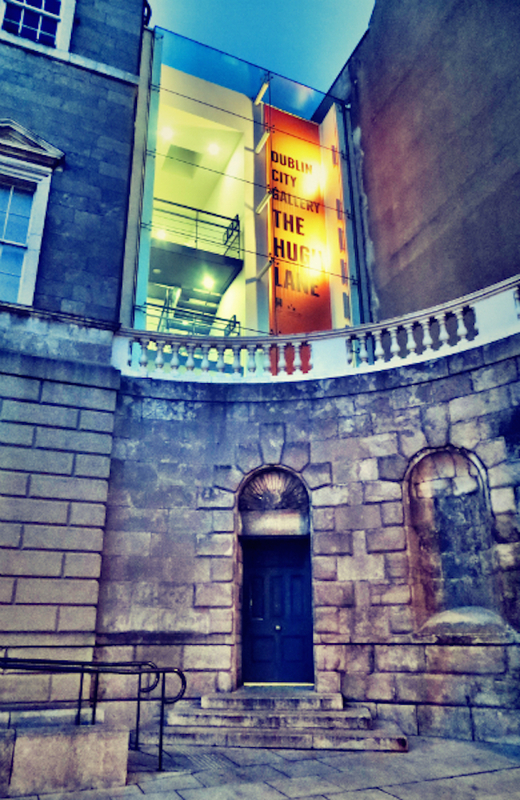 The Hugh Lane Gallery is called after Cork-born Sir Hugh Lane who founded the gallery in 1908. He did so at a temporary premises on Harcourt Street in Dublin with a donation of impressionist masterpieces. With these actions he also created the first known public gallery of modern art in the world which now houses over 2,000 artworks at its permanent residence of Charlemont House. The building itself, Charlemont House, is limestone clad and even after all these years (250+), has a fresh and inviting look to it. 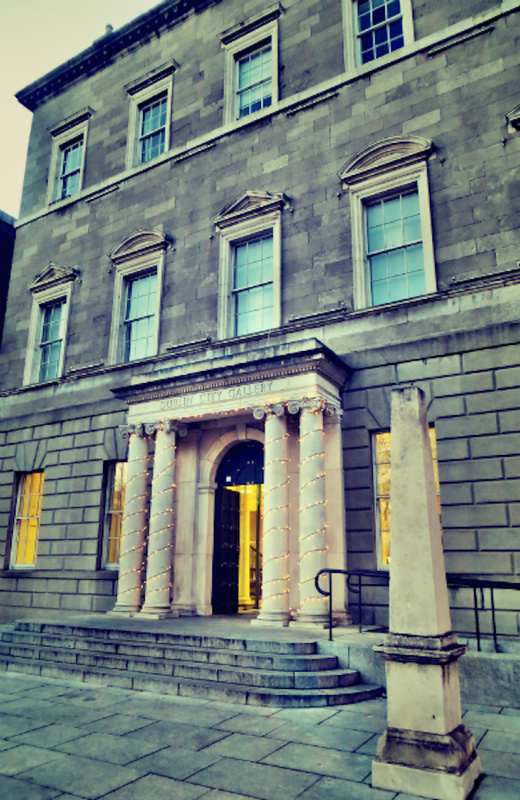 It stands three stories high with five large windows on the first and second floor that look out onto Parnell Square. The ground floor has four large windows and a pillared door. The walls either side of the house curve as if arms are inviting you in. The artwork inside is something to be celebrated - I would recommend that on entering the building you make your way to the right of the main lobby to the information desk where you can pick up a map of the building, which will pinpoint the different galleries. The map will guide you on where to find the permanent collections - expect to find paintings, drawings and sculptured masterpieces by both Irish artists such as Jack B. Yeats and Walter Osbourne, and International offerings in the shape of artistic masters Manet, Degas and Monet. You will also be treated to the abstract and contemporary paintings of Sean Scully, which can be found as permanent installations in the Sean Scully Gallery. The Stained Glass Room and gallery, dedicated to 1,200 of Francis Bacon's books, is also worth a look. There are new exhibitions spread across a handful of the galleries throughout the year, which range from up and coming to well known contemporary artists. One of the highlights for me is the Francis Bacon Studio, which is his actual studio that was relocated from London to Dublin and features an interactive database for visitors of over 7000 items found in the studio. The studio itself cannot be entered, instead one may view it through glass walls. The work that went into recreating the room is something to be admired and the database that was constructed is astonishing. The Hugh Lane Gallery does not stop giving at amazing art masterpieces. 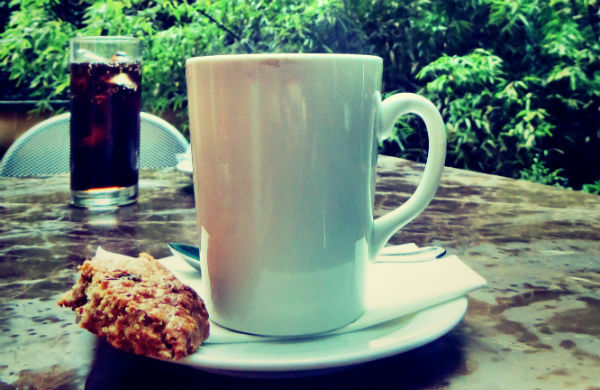 If you are hungry or need to whet your whistle there's a spacious café on the lower level that has an open patio. There's an independently run Dubray Bookshop on site for those wishing to take home a book on their favourite artist. For those with kids, there's a Kids’ Club, and for those looking for some music in their life, there are Sunday concerts that run from September to June and only cost a contribution of €2. Throughout the year the gallery also offers free-guided tours to visitors and art classes to those inspired by their creative surroundings. It’s worth a visit, and with free entry, you'll definitely feel welcome. Get your culture fix with a deal for cultural events in Dublin.